All who attended the recent League of American Orchestras Conference in St. Louis are filled with enthusiasm as we anticipate the achievements of our orchestras in the coming decade. We have imagined dreams that we would like to see and are confident that together we can change those dreams into reality. We left St. Louis with ideas that we can use immediately as well as some to be implemented in the future. We are excited as we witness the emerging stability of the symphonic music form. We want to continue our learning throughout the year, and we want to share with all of you ways you can participate. Share your successful events (Fundraising, Education, Service, Audience Development, Community Engagement, Communication and Leadership) by submitting your projects to goldbookonline.org. 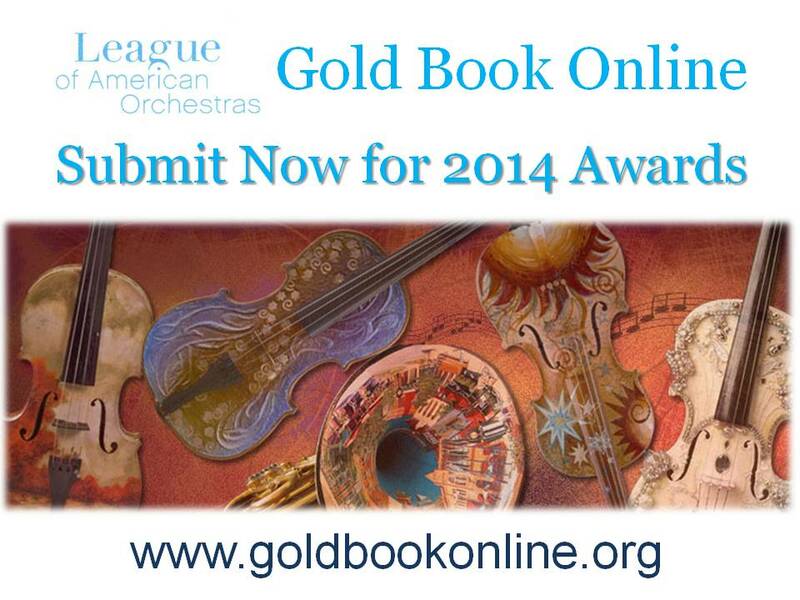 Surf the League of American Orchestras website. You will find valuable information on myriad topics. Use the Destination:Seattle payment plan offered by the League to attend the Conference in Seattle. This is my last article as the President of the Volunteer Council. I have enjoyed serving you. This, however, is not my last Conference! I am just beginning, and I plan to attend as many future Conferences as possible to assure that I continue to learn and share current ideas with my orchestra. Will you join me as a life-long learner? I am Seattle-bound and hope you are too! Begin planning now! 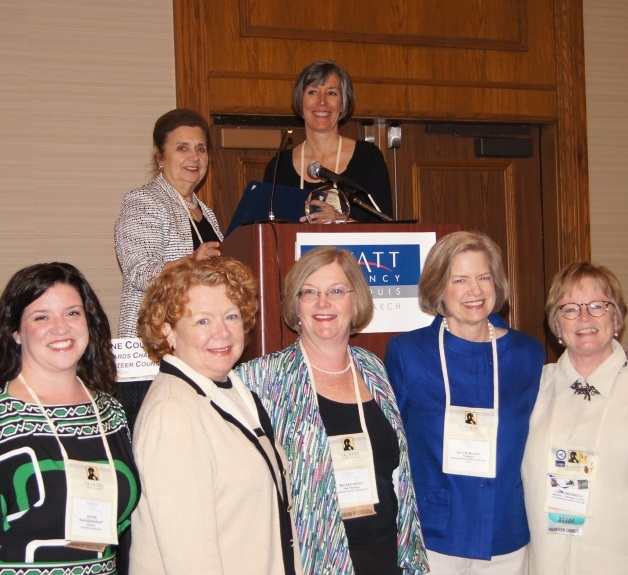 The Volunteer Council presented a special award - The Best of the Best - to the Symphony Guild of Charlotte at the League’s Conference in June. This is in recognition of Charlotte’s consistently high quality contributions and overall excellence. The Guild is to be commended for their dedication, creativity, and spirit. The Symphony Guild of Charlotte has submitted 33 projects to the Gold Book since 2006, and many of these ideas originated at a League Conference. Whether it is with their Showhouse Best Practices Manual, Musical Petting Zoo for Grown-ups, Integrated Communications, Power of Women Fashion Show, Trivia Night or Classical Idol, Charlotte is “paying it forward” as other volunteer organizations have learned from their successes. Seeing the attention to detail, the organization, the originality, and the fun that Charlotte has with all its projects is very impressive. We applaud your accomplishments! Bravo! This article was written by Jane Schwartz, based on her interview with Vicki West, president-elect, Houston Symphony League. Vicki learned that many orchestras use Constant Contact for communication with members whereas Houston uses iContact. She plans to compare the two programs although the obvious difference is that iContact is less expensive. She feels that iContact does less and thus needs to be further evaluated by her League. Vicki’s advice to other first-timers is “to attend everything and open up to all you meet. I met the President of the Dallas Symphony League on the bus going to the St. Louis Symphony concert. It was fun to meet her and talk to her on the ride to Powell Hall.” Vicki says she will definitely attend Conference again. She learned a great deal and loved the networking opportunities – interacting and sharing ideas with volunteers from different organizations. 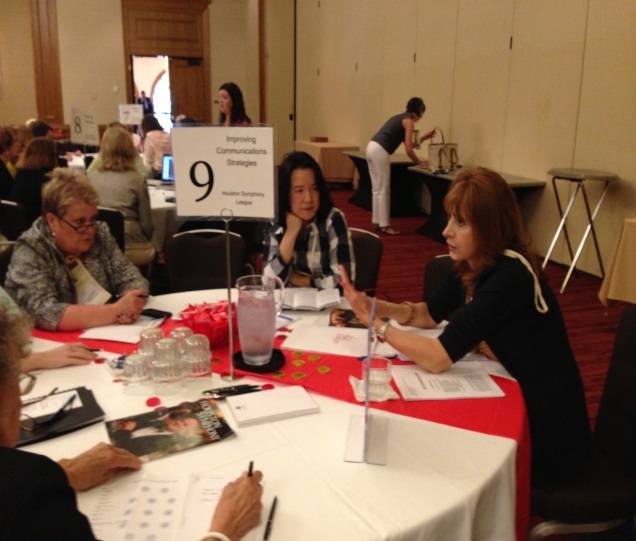 “Each year new events and ideas are presented so the Conference stays fresh,” states Vicki. This small group conference call series is for incoming volunteer presidents and president elects. * These Strategic Conversations will consist of six 60-minute calls for peer-to-peer learning, mentored by two experienced facilitators who can answer questions and help guide the conversation. Agenda and printed materials will be sent before each call covering topics such as fundraising, membership, and leadership. October 7, October 21, November 4, November 18, December 2, December 9. Please note that although the majority of the calls are biweekly, the last two are only a week apart. These programs will be facilitated by Laura Hyde, president, Volunteer Council, League of American Orchestras; and Margarita Contreni, president elect, Volunteer Council, League of American Orchestras. To register for this Strategic Conversation, please complete the following online form no later than September 20, 2013. Limited space is available, in order to keep these conversation groups intimate, so sign up early. The tuition fee is $50 for this program. Exclusive Offer for Volunteer Notes Readers! If you book before 11:59pm EST on August 18 and enter the discount code VOLNOTES you will receive a 20% discount on this Strategic Conversations series. This $40 rate is being offered in this issue of Volunteer Notes exclusively, as a thank you to our readers. 2013 Conference Delegates Share How They Share the News! What did we hear by the end of the session? With little exception, organizations around the country are turning to more sophisticated electronic solutions to engage their members. Online newsletters were almost universal – frequency is perhaps the main difference. Most groups appeared to send out the traditional quarterly newsletter, while a few have identified a need for a monthly/bi-monthly communication. The use of e-blasts for announcements seems almost universal, as well. The most common thread, however, was that, regardless of great technological advancements, all organizations work very hard to make sure ALL members are “in the loop” by whatever means it takes, including postcards, phone calls, etc. We heard over and over again that it is always the personal touch that creates the best result in the end. Awards of Excellence PowerPoints on League website– new resource! Find the PowerPoint slides and presentation scripts for Comprehensive Communications, Tanglewood Family Fun Fest, Love of Music Marathon, and other Gold Book Online Awards of Excellence winners all in one place. Gold Book Online is a unique and important resource for orchestra volunteers. Originally an annual print volume of all orchestra volunteer projects submitted for awards, this website now offers an extensive searchable compilation of successful projects submitted since 2005. This is a goldmine for those searching for information, but can only remain so if there continues to be a wide variety of new ideas shared every year. The deadline for submitting projects for this year is upon us – submissions are due September 2, 2013. 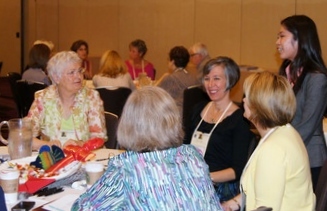 To have a project considered for Awards or Roundtable presentations at the League’s 2014 National Conference in Seattle, it must be submitted electronically via goldbookonline.org. The submission process is outlined in detail and is quite easy. Many groups do not wait for this deadline, but submit their projects upon completion, using the submission form also as their internal report form. If you haven’t already done so, please share your 2012-13 projects by submitting them today– you will not only be helping other groups around the country, but your submission may earn your organization an award and a prestigious place in the program at next June’s Conference!